Here’s today’s inktober. Tonight was Jack-o-lantern night, so I’ve been running around like crazy. 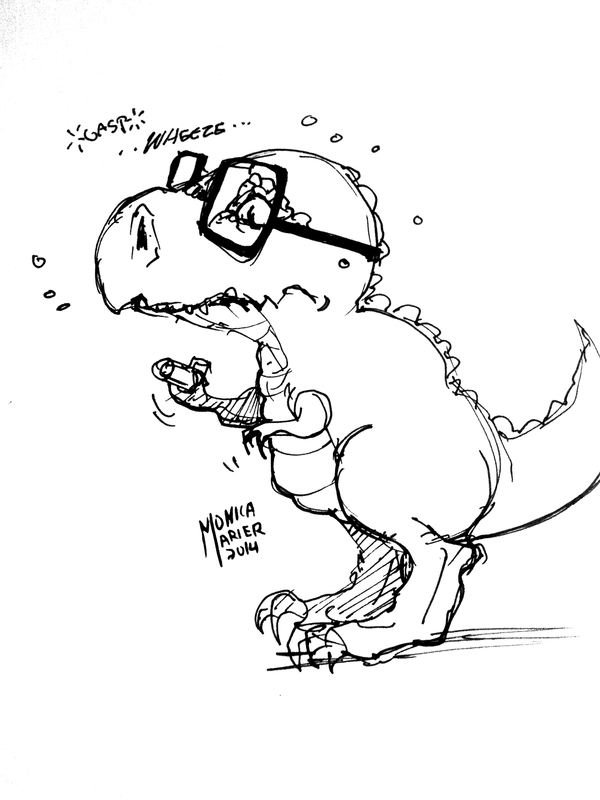 It’s a quick sketch of a nerdy T-rex having an asthma attack. The short arm joke has been done to death, but this image popped into my head and made me giggle. Must be my asthma cutting off my air again. (heh) Laters!